Editor's Note: A version of this post first appeared on Earned Media Rising. The amount and availability of data are changing how PR pros do their jobs. As such, it is no surprise that so much focus is devoted to identifying the best tools to find, harness and analyze all that available intelligence. This second annual PRWeek/Cision global survey, which will soon be published, reveals an interesting twist that underscores an increasing commitment to getting data right. When the 410 senior-level marcomms leaders who took the survey were asked to identify the areas they need to improve upon most in terms of technology and data, “talent” was tied with “tools” as the top answer at 36 percent. "Tactics" came in second scoring 29 percent. 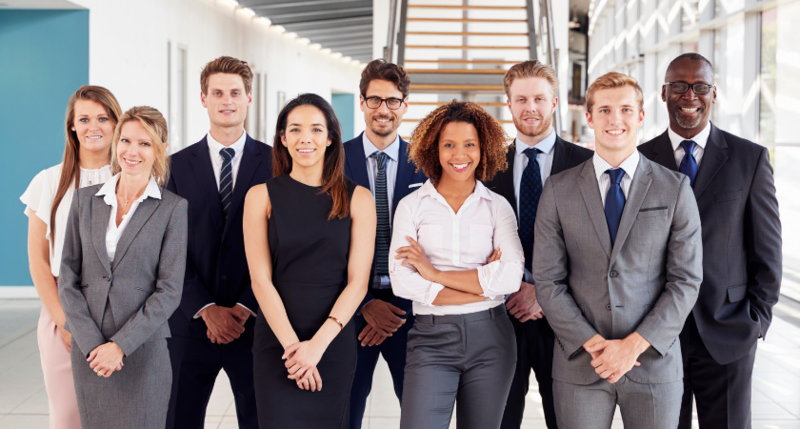 This is a notable change from last year, when 41 percent selected “tools,” while 32 percent chose “talent.” That closing gap indicates a greater recognition that tools need the proper talent to work optimally. It is critical to have data-savvy staffers and partners, says Catherine Blades, chief brand and communications officer at Aflac. Revealing a growing sentiment among many industry leaders, Miranda-Abate notes that she is a lot more open to hiring a data person without a PR background. This is of particular relevance in an age of integration because, as she reports, Novartis’ data analytics team works cross-functionally, including with policy, marketing and medical teams. Tony Cervone, SVP of global communications at GM, says with all of his hiring decisions now, regardless of department, an understanding of other disciplines is crucial. Speaking of marriages, the survey delved into the crucial marketing-comms relationship. 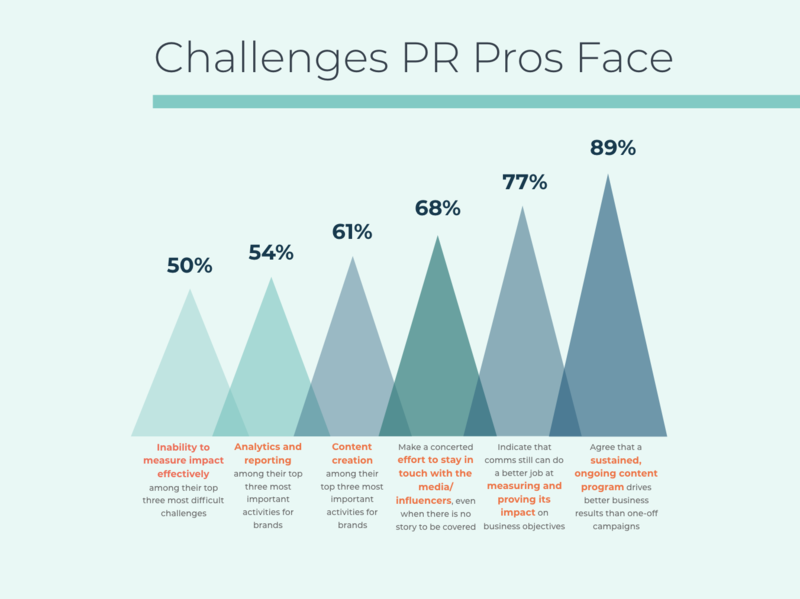 Encouragingly, 87 percent of respondents report that their company’s PR and marketing departments work well together. Last year, 81 percent said so. Blades, formerly SVP of corporate comms who added “brand” to her title a year ago, exemplifies the increasing number of leaders determined to improve cooperation between the two functions. “The team had been really struggling to find its footing,” recalls Blades, who joined Aflac in 2014. The company went through five CMOs in 10 years. PR can no longer afford an “us versus them” mentality, adds Cervone. Of course, Rome wasn’t built in a day, so tensions between the functions still exist. When queried about their most difficult challenges, 47 percent of respondents placed comms’ continuing battles with paid media for budget among their top three. Turf wars clearly still exist. However, the leaders interviewed for this story see that as a reflection of the pressure PR faces in demonstrating its value to the C-suite in a similar vein to marketing and advertising counterparts. And that is not a bad thing, as such forward thinking, which comms departments have increasingly adopted, have led to a decreased reliance on metrics such as impressions and ad-value equivalencies. PR departments are certainly putting more resources into such efforts. 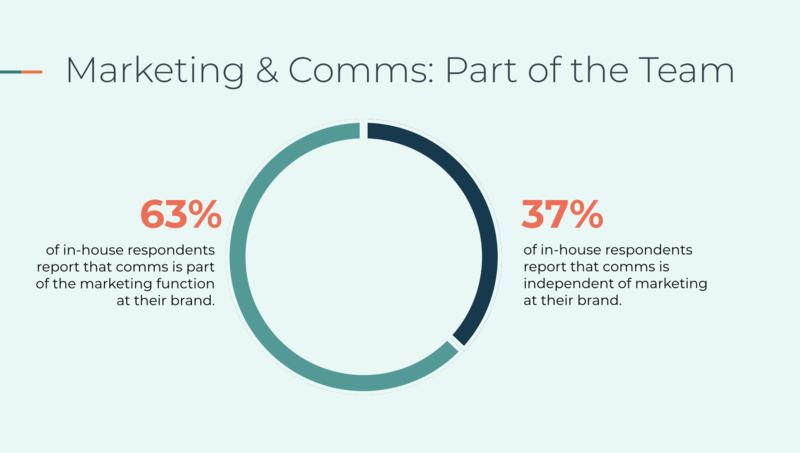 This year’s survey indicates 16 percent of respondents spend at least 20 percent of their annual budget on measuring, monitoring and understanding the impact of their comms programs. That is up from 11 percent last year. Meanwhile, 49 percent devote at least 10 percent of their annual budget to measurement, a slight uptick from the 47 percent who said so last year. 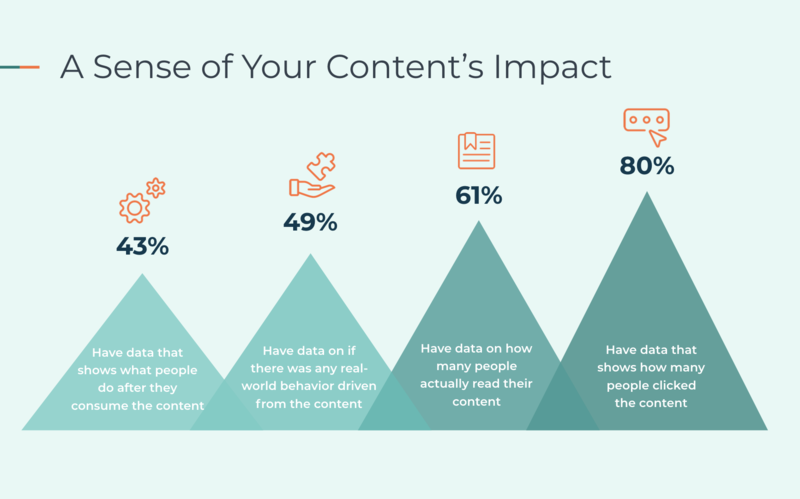 While data is certainly a central focus for comms pros now, the amount of time PR devotes to content — planning, creating, and reaching out about it — takes a back seat to nothing. In terms of the channels on which content is shared, this year’s survey data reflects an increasing affinity for “modern” channels over “traditional” ones. When asked to identify the most effective form of content to influence consumer or customer buying behavior, social media was clearly the top answer, with 54 percent placing it among their top three, as opposed to the 44 percent who did so last year. Brand websites were placed in the top three by 35 percent of this year’s respondents (up from 22 percent last year), while native ads made the top three among 18 percent of this year’s respondents (up seven percent from last year). When the focus turned to more “traditional” platforms, the narrative changes. Based on respondents’ answers, print features, broadcast features and even traditional ads all fell year-on-year. However, when it comes to media relations, it’s not a totally “new” story. When asked to elaborate on their outreach efforts, 54 percent of respondents devote more than half to traditional media, while 31 percent devote more than half to social influencers. Gerrard goes a step further by opining that traditional media is, in some ways, even more, important to brands now. “A significant number of our audience goes to traditional earned media sources and mixes and matches that with other sources to get their information,” he says. Cervone agrees that traditional outlets will remain very important for brands, but as part of a broader media strategy. PR pros must factor that a growing number of major media sources are only talking to and reaching an audience with shared political, geographic, and socioeconomic characteristics. This is creating an increasingly polarized populace on the earned media environment. "We must not ignore large chunks of our current and potential customers by only measuring what is being said in what used to be ‘opinion-leading media,’" he counsels. "If the polarization of the populace goes to its natural next level, by definition we will end up with 50 percent of our audience reading, watching and listening to certain media." "You can get confirmation bias pretty easy easily in that kind of environment," adds Cervone. “It will be [interesting] to see who ends up trying to bridge that polarization and create a sense of communication between the two sides. It is so important that we understand who it is certain media are actually talking to, but also the audiences with whom they are not talking." PRWeek partnered with Cision on this survey, which was sent via email to both communications and marketing professionals in seven countries around the world: The U.S., Canada, U.K., France, Germany, Sweden, and China (including Hong Kong). A total of 410 senior-level professionals, from both agencies and in-house, completed the online survey, conducted by Bovitz, between June 27 and August 9, 2018. Results are not weighted and are statistically tested at confidence levels of 90% and 95%. The survey results will be published at a later date, and this post will be updated with a link to the findings.